After the first memorable World Cup for decades, are FIFA about to cause irreversible damage to their flag ship tournament? Qatar 2022 will be a watershed moment for a number of reasons. Not only will it be the first ever World Cup to be played in an Arab state, it will also be the first to be held in air conditioned stadia, to keep the dangerous heat levels at bay. 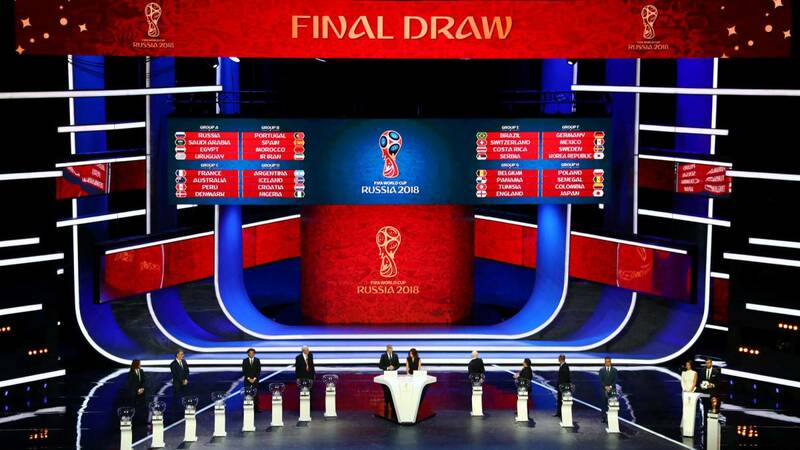 It will also be the last World Cup to be played with a reasonable number of teams entering the tournament. It can already feel that the competition is at saturation point whenever the World Cup gets underway. Thirty-two nations split into eight groups: there are plenty of dull, unappetizing affairs of attrition. However, we are all about to be overloaded as FIFA presses ahead with its new ideas. Much has already been made of the expansion due to kick in from 2026. Forty eight teams will be competing, well playing, at the goliath tournament due to be held in North America and Mexico. This means two teams from a group three will progress to a monster first knockout stage. Given that there are only two hundred and eleven FIFA members, this expansion will mean almost a quater of them getting a chance to be at the World Cup. Now, we all know FIFA don’t we? It’s truly motivated by governing the game we all love. Surely this expansion will be all about the improvement of the tournament and not the extra projected €1 billion they look set to earn in increased revenue right? Moving on. Russia 2018 has been a truly enjoyable tournament. For the first time since 2002 there have been a few really enjoyable stories. Paradoxically, as the big boys have gone out, the games have become more exciting and interesting. Sweden, Mexico and Croatia have all made big strides as decent mid-sized nations. However it is stories like Iceland and Panama that are truly remarkable. Despite their limited resources, population and football heritage, both nations debuted on the World Stage. Peru also made it to the party, qualifying from the marathon CONCACAF region ahead of regional champions Chile. These achievements from smaller nations are truly staggering and memorable for all involved. When you consider Iceland has a similar population to Coventry and has yet qualified for successive international tournaments, it truly is an admirable and noteworthy honour. Since 1998, eighteen teams have debuted in the expanded format. An average of less than two-per-tournament just goes to show how tough it still is to qualify. With a further sixteen nations being permitted, surely it will serve only to diminish these wonderful achievements. Qualifying for the World Cup will get a whole lot easier. African countries will get an extra four places, while Asian sides will be given 3.5 extra allocations. South American teams will get six slots meaning only four teams from ten will actually miss out. We will surely be seeing a lot more stories like Iceland and Panama, making them all the less interesting and just plain dull. Yes, the money will be hard to refuse, but there has already been global eye rolling at the changes for 2026. Russia 2018 has been a great success already and there are still three matches to play. These changes and the controversy surrounding them could also see the beginnings of a fissure between the European Club Association and FIFA. The ECA has already voiced strong opposition and warned the three team format at group stage could even risk collusion between nations. Algeria need not be reminded of this. FIFA should be wary. If they lose Europe they lose the tournament as we know it. Surely the catastrophic commercial impact of that is worthy of consideration before FIFA shoots itself in the foot. Whether or not they see sense will likely depend on s balance sheet though and not with the evidence from the football pitch.